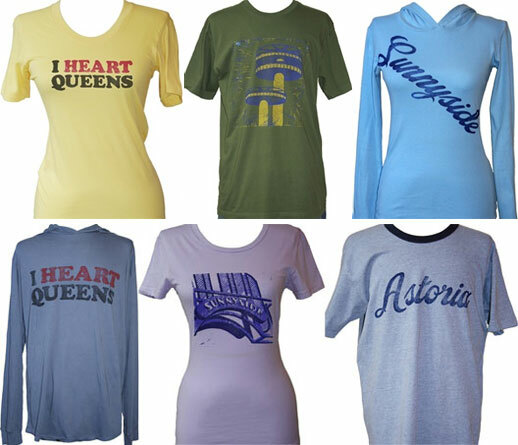 No one in their creative right mind (no pun intended) would wear a tourist souvenir t-shirt displaying their city name, but what if you really did want to display your love for your own unique, authentic neighborhood? If you live in Queens, New York, the answer for many is to buy a shirt from local artist Ciara Elend’s Queensbound collection. Think of it as when you wear your ol’ college alma mater, except it’s in real time and anything but generic. – “Inspired by my absolute favorite place, Sunnyside. I drew this font based on those found on a saloon.” What she refers to as her ‘neighborhoody’, it also comes in other flavors – Forest Hills, Jackson Heights, Long Island City, Astoria and Woodside. – The image on the shirt in the bottom middle is of a landmark arch.